Choosing the right career path after Class 12 is a very important decision that you will need to make for your child. If you are confused with undergraduate studies in India or abroad, you’re not alone. There are several parents (and students) who face this dilemma. What’s Better for Your Child After 12th? To be honest, the answer to this important question “undergrad in India or abroad” is not so straightforward. You have to consider several factors – what does your child want to study, his/her personal preferences, long-term goals, and of course, your budget. 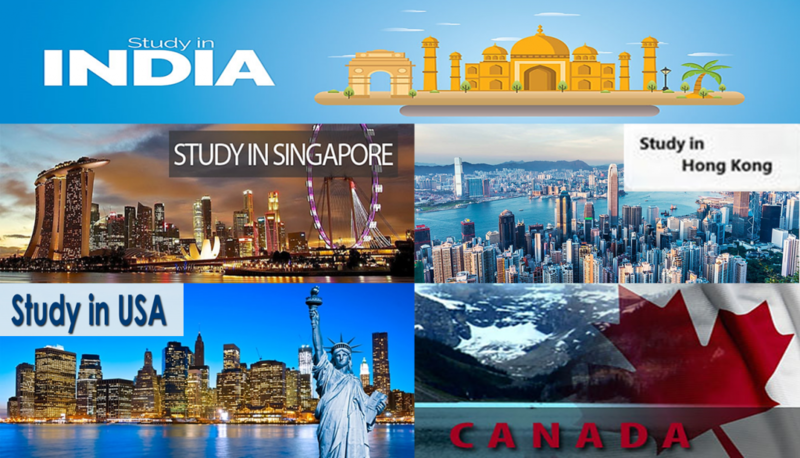 In this post, I will try to decipher the pros & cons of undergraduate studies in India vs Singapore/Hong Kong vs USA/Canada. I hope it will help you to decide what’s better for your child after Class 12. Let’s start with discussing the advantages of studying in India. One of the main advantages of pursuing Bachelors in India is that the education is way cheaper in India. Even if your kid ends up studying at one of the most expensive colleges in India, you will still spend less than half of what it would cost you abroad. Your child will have the home advantage. Even if s/he goes to a different city, s/he is still more or less familiar with the system. Then family and friends are available for your child when needed. The general standard of education in good institutes is really good. Finally, getting a job in India with an Indian degree is easier. The Indian recruiters are not always aware of all the foreign colleges and education system. Secondly, attending a top institute in India provides the scopes of campus placement, which is not available at the colleges abroad. Then your child also doesn’t need to worry about visa and work permits. Despite many advantages, there are few serious disadvantages as well. There are many IITs, NITs and regional premier institutes. But, getting admitted into the top & premier colleges in India is not a cakewalk. The competitive intensity at the premier colleges in India is so stiff that it is often easier for the bright students to get admission in Ivy League colleges in the US and other foreign countries than in the IITs, IISERs, NITs and even top colleges in Delhi University. There are way too many bright & deserving students, but not that many seats available at the top colleges. Unfortunately, even if one has good marks, admission can be denied due to cut-throat competition and nepotism. The admission system is examination oriented and everything is based on a final or entrance examination. If your child somehow ends up studying at a tier-2 institute in India, the education standard is not always up to the mark. The quality of education & practical training is very poor at the Indian colleges that do not fall within the top 30%. It’s not a secret anymore that the majority of Indian institutes lack in providing research facilities and soft skills. The curriculum at the majority of colleges is too rigid. The horizons remain limited and the focus is to score high grades. In India, the education system is only depending on how much marks you score and there is no analysis of your skills or aptitude. The low-tier colleges in India often produce unemployable graduates. Unfortunately, the Indian education system puts too much emphasis on rote learning rather than critical thinking, problem-solving, and creativity. At times, there is gender, regional and other biases a student has to overcome in India. 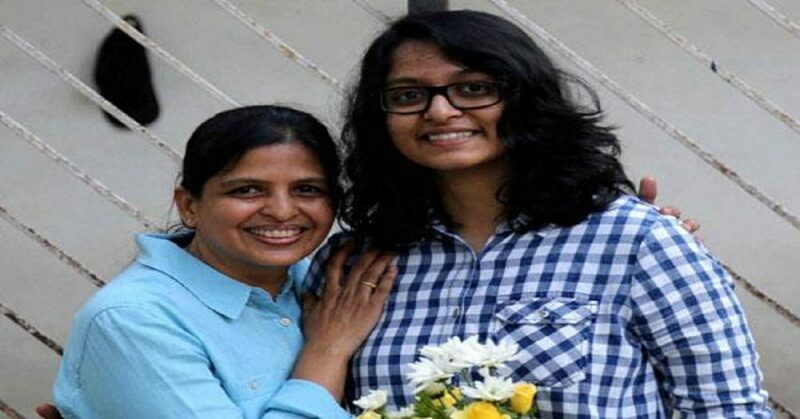 So, if you are unable to get into a tier 1 college in India, and if you can manage the expenses through scholarships & financial aid, education loan, and family support, studying abroad would be a great idea. When it comes to studying abroad, it’s not a very straightforward path either. You need to consider a lot of factors. If your daughter or son can pull it off, studying abroad has got several advantages. A foreign degree can help your child in several ways in the short-term & long-term. More importantly, for a child at the age 17 or 18, it’s not always easy to decide a definite career path. When it comes to foreign universities, the one big advantage they offer as compared to Indian institutes is the flexibility to choose what s/he really wants to do. The majority of the Indian universities (except the new-age Indian Liberal Arts Colleges) don’t usually offer the mind-boggling cross-breed of courses that are available in foreign universities. Pursuing such courses would give the child ample opportunity to explore his/her interests, and who knows, their interest might be piqued in a field they didn’t think of before. But, even in foreign countries, you need to choose the college/university carefully. You don’t necessarily need to send your child to a university that comes within the top 10 or top 25 world university rankings. But, by all means, you should send your son/daughter to a tier 1 university abroad. Irrespective of the country or college abroad, you would be looking at a total expense of minimum INR 50 – 60 lacs. So, if you need to spend that kind of amount, make sure your child attends a good university for her/his undergraduate studies. There are many foreign universities that are only interested in the money a student can pay, giving back very little in terms of education. If your child ends up at a mediocre university abroad for the sake of saving money, it could be very dangerous for his/her career. Attending a foreign university does not guarantee a job. Your son/daughter will still need to study and work very hard. Additionally, s/he needs to manage everything on his/her own without hampering the studies. But, those things will only make your child a better, confident, open-minded, and all-round person in the future. In case your child fails to get a job in a foreign country after attending an ordinary university, s/he might also not get a good opportunity after coming back to India. But, there is no reason to feel discouraged. Choosing the right course, college & country will help your child to take the best step forward to his/her career development & progression. So, now the question is where to do the undergraduate studies from? In the last few years, the most popular countries for Indian students have been US, Singapore, Canada, and Hong Kong. Let’s see how they pit against each other. Both Singapore & Hong Kong have been turning out to be hot favorites among Indian students. They are among the fastest growing economies host several top-notch MNCs. So, job prospects after graduation are quite promising. Additionally, entrepreneurial opportunities are also wide and open in these two countries. Singapore & Hong Kong provide extremely international environments with extensive global connections. The universities are research-based and have high standards of teaching and learning. Degrees offered by universities in Hong Kong and Singapore are internationally recognized, so it does not matter if international students intend to work elsewhere after graduation. Both Singapore & Hong Kong are very close to India. So, it would be quite convenient to visit home (India) during breaks or any emergency. Singapore offers a progressive education system with state-of-the-art facilities. The proximity to India reduces the expenses incurred in this country as compared to major destinations like USA or Canada. Indian students studying in Singapore will not face any problem as English is widely spoken and English is the main language of business & administration. It’s a very safe country, and the economy is very stable as well. Apart from the top indigenous universities like National University of Singapore, Nanyang Technological University, Singapore Management University, Singapore University of Technology and Design etc., several top foreign institutes like INSEAD, Chicago Booth School of Business, Yale University, Duke University, and ESSEC Business School have their international campuses in Singapore. There are few cross-bred universities in Singapore such as Yale-NUS (Yale-National University of Singapore), Duke-NUS, Lee Kong Chian School of Medicine (Imperial College London and Nanyang Technological University) and many others. 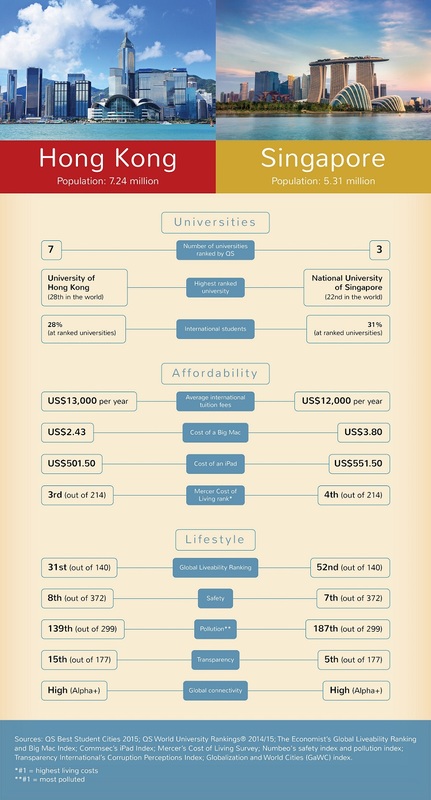 So, you can pursue degrees in Singapore with the world’s top universities’ programmes without spending hefty fees. The Government has also played an important role. The Singaporean Government (and also a few Universities) offers generous scholarships to meritorious international students. Additionally, the Govt. also offers tuition grant, which comes with a three-year bond for an international student to work for three years in Singapore. The post-study work opportunities in Singapore are also very flexible. International students have the option of applying for a one-year, non-renewable Social Visit Pass that allows them to search for a job in Singapore after completion of their degree. After that, students can get an S-Pass (applicable for mid-skilled foreign employees), or an Employment Pass (applicable for foreign professionals, managers, and executives). In both these cases, the employer applies for the pass on behalf of the candidate. Hong Kong is another great international education hub. The country hosts few globally high-performing universities, world-class research, and an attractive lifestyle. Hong Kong is an international financial center in which many multinational financial institutions have set up operations. It is also the premier trading hub between mainland China and the rest of the world. Scholarships are available for high-achieving international students. After completion of studies, the international students can stay for one year to find a job. There is no quota for recruitment of international graduate students. The top universities in Hong Kong are the Chinese University of Hong Kong, the Hong Kong Polytechnic University, the Hong Kong University of Science & Technology (HKUST), the University of Hong Kong, Lingnan University, and the City University of Hong Kong. But, there are some disadvantages too. The choices of universities are limited in both Singapore and Hong Kong. At the end of the day, if you combine Hong Kong and Singapore, there are only 10 – 12 top institutes to choose from. Then the Asian culture tends to over emphasize passing courses with flying colors as a measure of success. Recently, the Singapore Government has decided to bring down the percentage of international enrolments from 18% to 15%. So, the competition for getting admission to the universities and the curriculum are very intensive. Another drawback is the lack of flexibility. 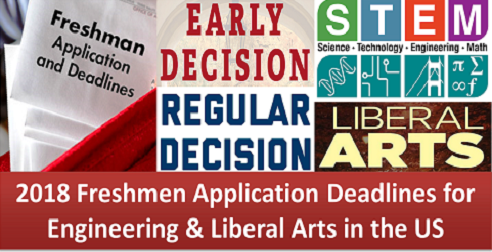 One can only apply for an additional major if the university approves that, and students taking a third major are almost unheard of. One has to declare a major that he/she wants to pursue upon entry into a university, unlike the situation in the US where one can spend one year in university exploring different subjects without committing to a particular major. So, if you are meritorious enough to beat the stiff competition, you know what you want to study and don’t necessarily looking for a high flexibility in the curriculum, stay close to home, and don’t want to spend more than 40 – 50 Lacs, then Singapore and Hong Kong are excellent options for undergraduate studies abroad. Hong Kong is slightly cheaper (10 – 20%) than Singapore. But, Singapore provides more options in terms of subject options. Hong Kong is relatively better for Engineering, Science, and Technology. But, you might not find too many options in Hong Kong for Business, Media, Law, Medicine, Hospitality etc. 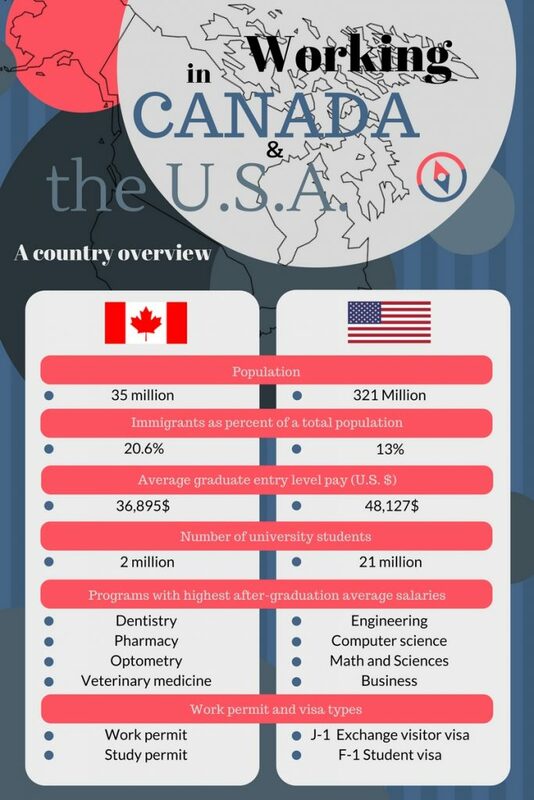 Both USA and Canada attract several international and Indian students every year. The quality of education, options for internships & placements during studies, and job opportunities post-graduation are unmatchable. The US is a country where everyone gets enough opportunity to explore their possibilities to grow further in life. It is home to some of the most influential universities in the world. In 2018 QS & Times Higher Education world university rankings, almost 60 US universities featured in the Top 200 universities in the world. The US is by far the most popular destination for international students owing to its strong reputation for teaching, research, technology, innovation, and career opportunities. The US has been the top attractant for foreign students for decades. The student community in the US is very multicultural, along with an excellent support mechanism for international students. Every year several international students apply for the Undergraduate and MS programs in the USA. The acceptance rates at the top US universities (Ivy League and Elite Schools) are around 5 – 7%. The figure is slightly encouraging for other universities, but it’s still very competitive. Canada shares a lot of similarities to the education system in the US. But, culturally, Canada is very different. Canada is probably one of the best and safest countries to live in. The nation is very welcoming to foreign students; in fact, they want more and more international students. USA will provide you with much more options than in Canada or any other country. Getting into a top 15 Canadian University and a top 100 US university will basically provide you with more or less similar quality of teaching & education. So, if you are not among the top 5% in your class, but you want to attend one of the best universities in the world, USA would be ideal for you. Secondly, the US education system is famous for its flexibility. One can easily opt for a second major or even a third major for his/her bachelor’s degree. If you go for a liberal arts college in the US, you will have even more freedom to choose courses, as there is a little restriction as to what you may choose and how many you choose. If you are not sure of your career decision, exploring your interest in a US university is a wise move. Thirdly, the US universities offer multiple scholarships and financial aid schemes to the international students. The US universities offer both merit-based and need-based scholarships. Last but not least, the US offers a wide range of career options to the international students. The country hosts some the majority of Fortune 500 companies, and hence there are excellent job opportunities for the foreign graduates. 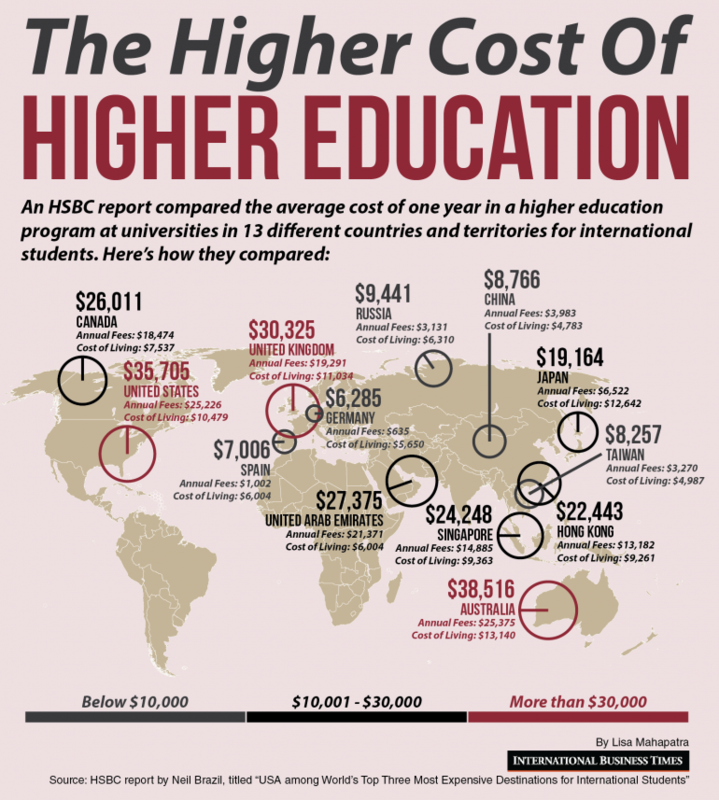 In terms of cons of studying in the US, education is not at all cheap. If you are looking at to study Bachelors at the Ivy League and Elite Colleges in the US, you would be looking at INR 1.5 to 2 Crore for 4 years. Although there are several scholarships for the international students, it’s not that easy to get a full scholarship at the top 25 colleges in the US. Even if you are a very meritorious student, you would still need to shell out INR 60 – 80 Lacs for 4 years. 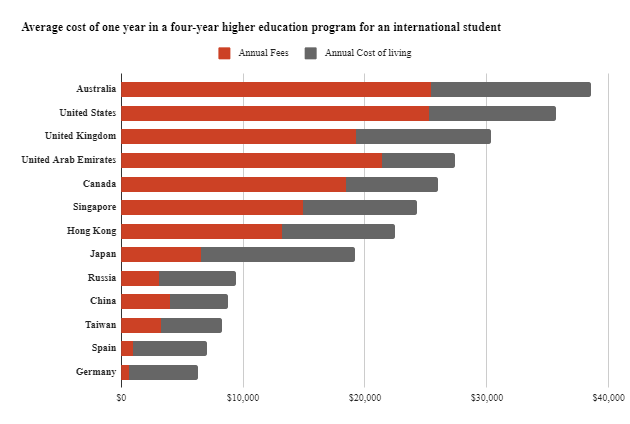 In contrast, Canadian universities are relatively cheaper than their US counterparts. However, you need to be aware that the chance of getting any kind of financial aid or scholarships at the Canadian universities is very slim for international students. Another disadvantage of the US education system is that pursuing professional degrees like Medicine or Law is very complex in the US. The US universities do not offer undergraduate programs in professional degrees, such as law and medicine. Even for business, many top schools (except the Wharton Business School) do not offer business programs for undergraduate students. If you intend to go for such fields in the US, you have to take related subjects first and apply for Master’s degrees later. In that respect, Canada or Singapore would be the better option. In Canada, most medical schools don’t necessarily require a prerequisite bachelor’s degree for admission. However, you will need to crack MCAT. One of the most attractive features of studying in Canada is the relaxed stay-back and immigration rules. You could also settle down in the US, but it’s a very long-term and cumbersome process. Another striking difference between the US and Canada is the admission process. In Canada, the admissions process is transparent and straightforward. Students are primarily assessed based on upper-level grades in high school, and a supplementary application essay. Sometimes, the SAT scores are required; but only for the top 5/10 universities. Then Canada does not have a Common Application. So, students must submit separate applications to each university. In contrast, the admission process in the US is not straightforward at all. High GPA and test scores do not guarantee admission at the top tier universities at all. You need to write multiple essays, demonstrate extracurricular activities along with strong personalized recommendation letters. 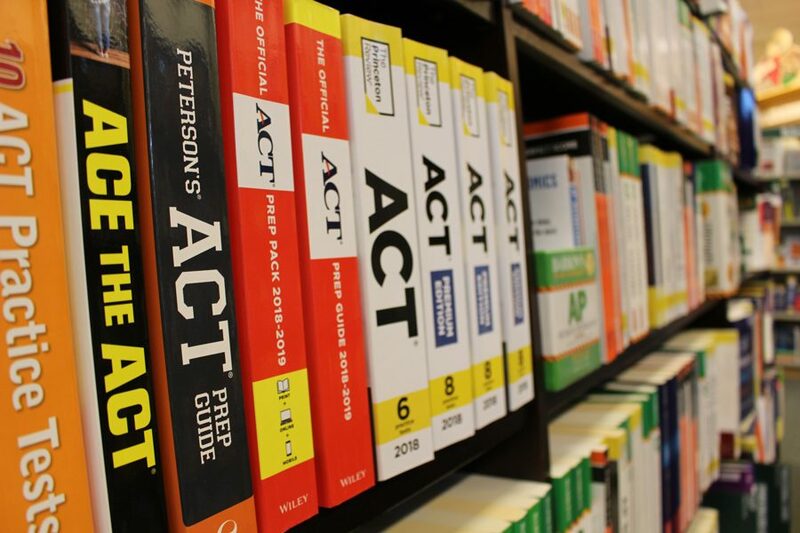 For the top schools, you will also need to provide scores of Subject SAT tests. If your child wants to come back to India after finishing Bachelors or after working for a few years, US would be a better option. Due to the huge reputation of the US universities and the overall emphasis on admission & education, Indian employers prefer US degrees. The US experience is also very useful if your child has got entrepreneurial plans. Again it’s not too easy to decide between US and Canada. 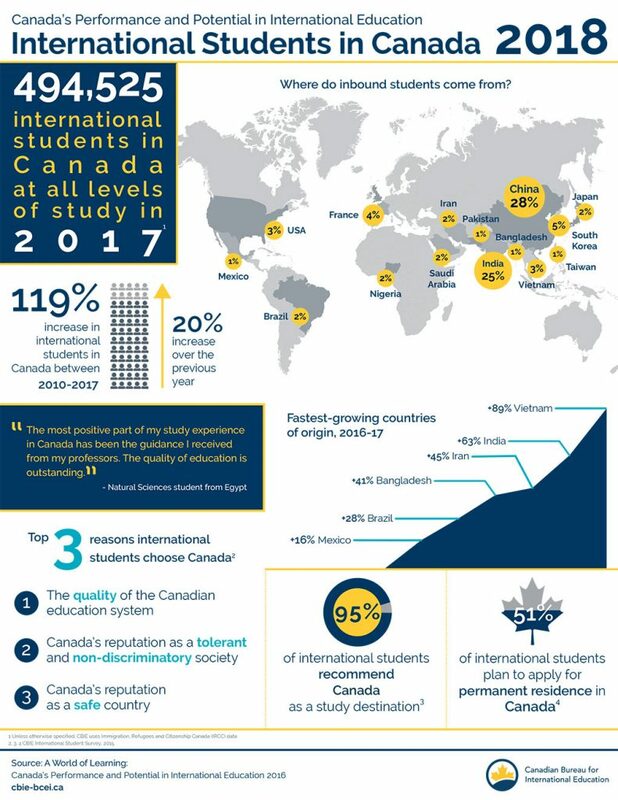 If you really want to experience flexibility & freedom during the initial phase of your college or you want to be at the forefront of the global innovation & research, USA is slightly ahead of Canada. In case, you cannot afford the US colleges and wish to settle down abroad, Canada is a better destination. It does not make sense to argue about which country is the best for pursuing the undergraduate program. Each and every country has got its own pros and cons. So all you need is to work with your child and figure out the best for her/him. Your child will definitely make you a proud parent. 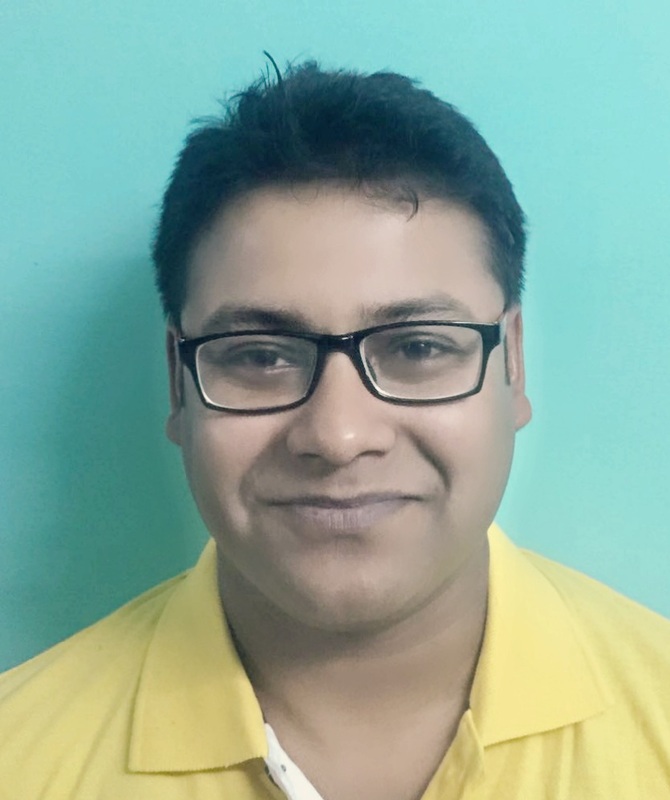 Read the story of Sayantan (from Gurgaon) who did his Multi-City Bachelors in the US, Hong Kong, and Italy. 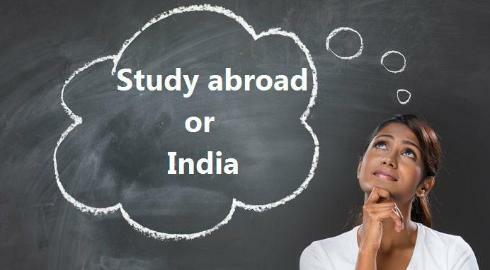 Undergrad in India or Abroad – Still Confused? If you need personalized guidance for your child with his/her career plans and college admissions in India or abroad, please feel free to contact Team Stoodnt. We will be happy to help you. Want to have a 1:1 Counselling session with an Expert? Feel free to book a session using the form below (All timings are in IST). References: 1, 2, 3, 4, 5, 6, 7, 8, 9, 10.